This is the Collector's Edition of the original album and includes bonus tracks and a DVD with three video clips. Two years after his last release he brings us his 3rd release, featuring 13 new tracks, 4 Bonus Tracks, 3 Videos and a Cd-Rom Photo Gallery. 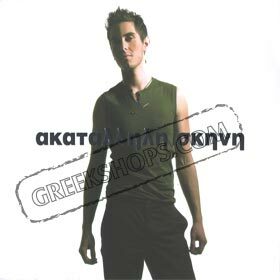 Awarded best singer of the year 2004 and this album proves why?! Contains bonus DVD in PAL / Zone 2 (European system) with three video clips.